"Challenges In Enterprise Mobile App Development"
"5 Reasons To Establish Your Business On Mobile"
The evolution of the Internet of Things from concept to reality takes a new meaning for devices, objects, and the lives connected through the Internet with an ease of access. The capabilities of IoT are fairly endless with a potential level of data allows far more personalized and operational insights about patterns, behavior, customers preferences and more. As IoT becomes a widespread reality, it promises a new level of digitization in every facet of an organization in creating potential opportunities for products and business models with customer intimacy. Moving into the mainstream it really creates a buzz around the world, here is the reason why connected toasters and other smart home devices matter in the home automation. With IoT, you can able to keep all of the technology in your home through a connected interface for home management. IoT offers countless home automated device functions throughout your home. IoT potentials really make it easier to access the features you truly want for your home. No matter how the technology of your appliances changes as time goes on, IoT will tend to be flexible when it comes to the addition of new appliances and technology. With IoT seamlessly you can integrate devices as you add newer ones and can discover new technology to keep upgrading to the newest lifestyles. With IoT, you can skyrocket your home security by integrating security and surveillance features in your home automation network. You can also set security alerts on your smart devices depending on the time you in need of the alert messages and also able to do real-time monitoring whether you’re halfway around or in the house. Remote control of home functions. With the power of IoT, you can control your home’s functions on the go. On a hot day, you can preset to cool your home in just before you get home. If you are away from home and you’re in a hurry to get dinner started, you can have your oven start to preheat by leaving a message. Also you can check to make sure you turned off all your lights and appliances while you’re away. With IoT, it’s possible to make your home more energy-efficient. With IoT, it’s easy to program lights and motorized shades switch on in the evening, or automatically turn on and off the lights when you enter or leave the room with worrying about wasting energy. IoT helps you to run your appliances better. Connecting your appliances and other devices with IoT will improve your appliance efficiency and will make an overall make-over to your home life into a more easier and enjoyable way. The sheer amount of biggest tech companies and innovators interests IoT by the means of the world it creates, which in turn start a race to outdo on latest technologies. 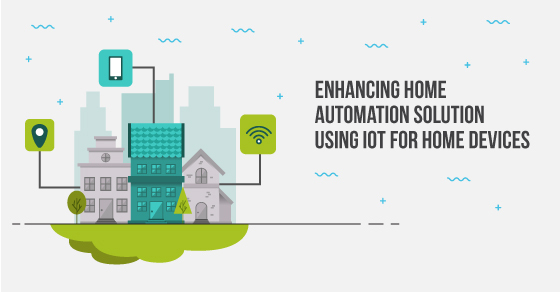 This means robust, better home automation technologies is constantly being developed to match our digital needs and the industry is on a tremendous upward track in developing a flawless home automation system.